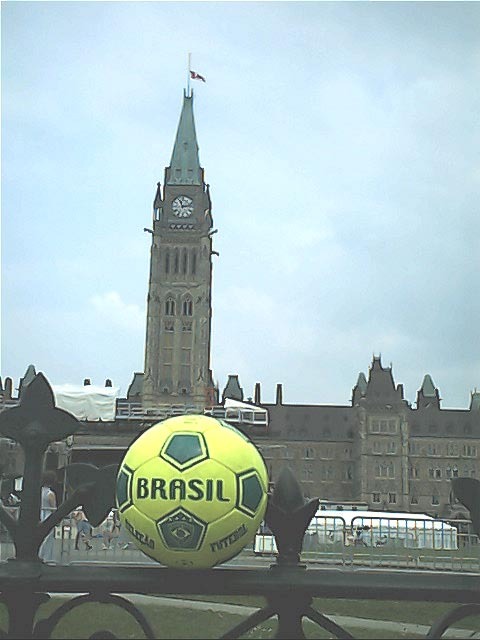 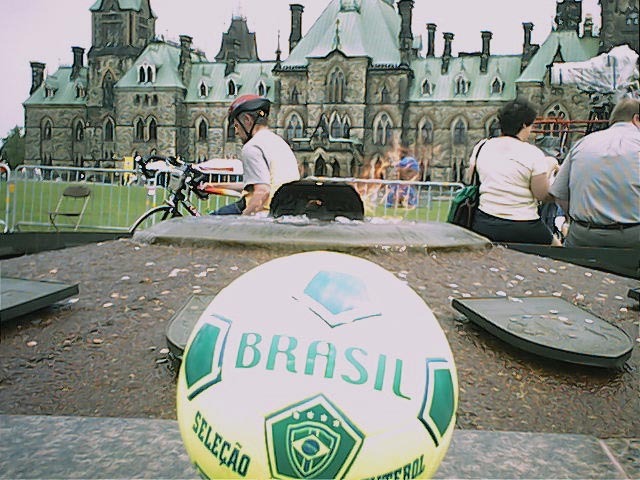 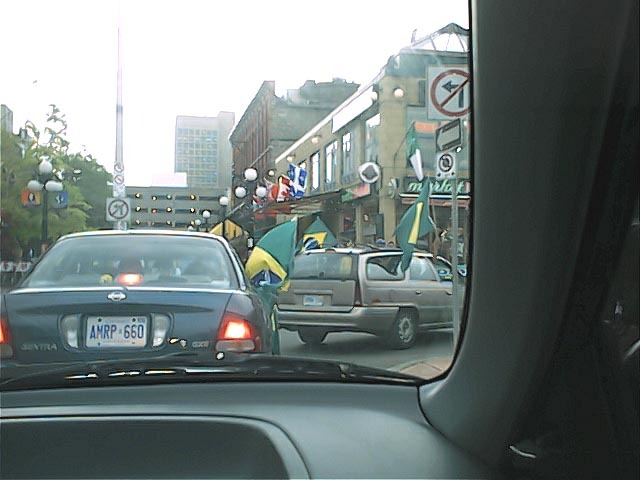 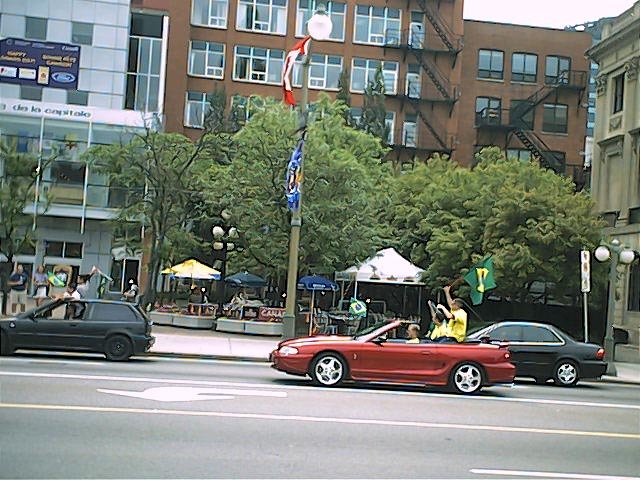 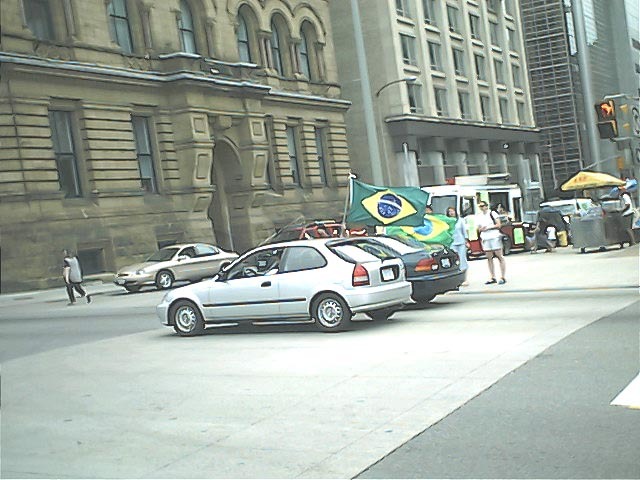 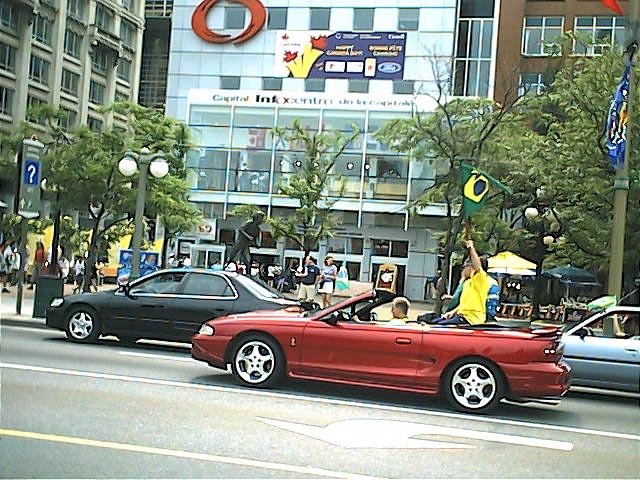 Despite small Brazilian community being in Ottawa, the celebration of Brazil win, 2-0, against Germany, heard and noticed in down town Ottawa-Canada. 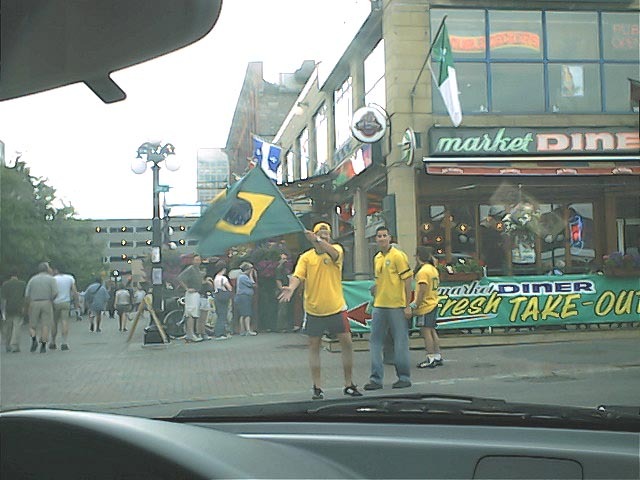 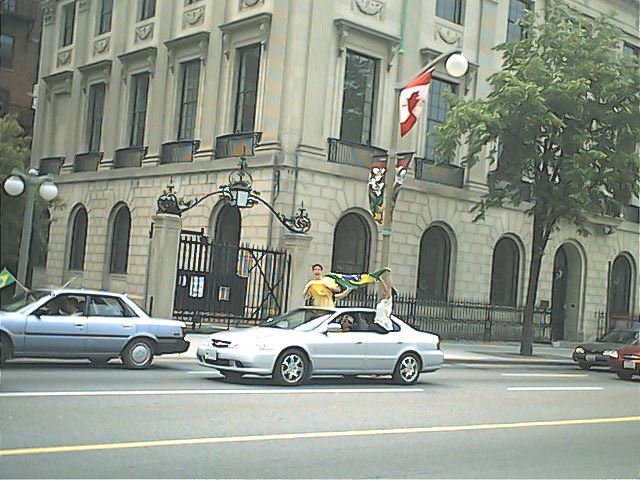 Brazil fans went to the streets of Ottawa to express their joy for a remarkable victory in which Brazil secured its status as soccer mighty of the world. 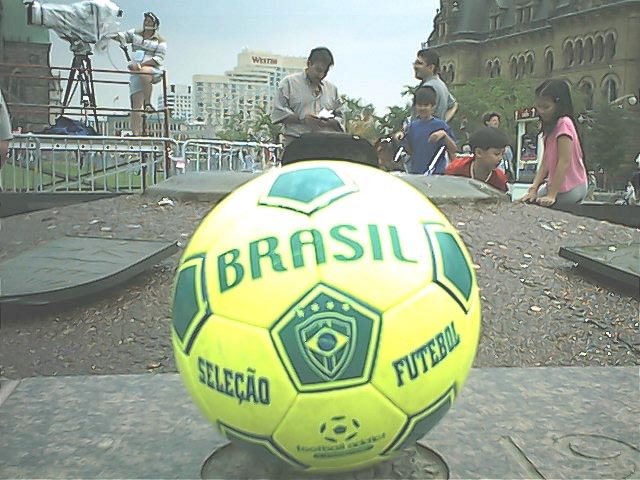 Brazil defied the odds and won the cup without any single loss. 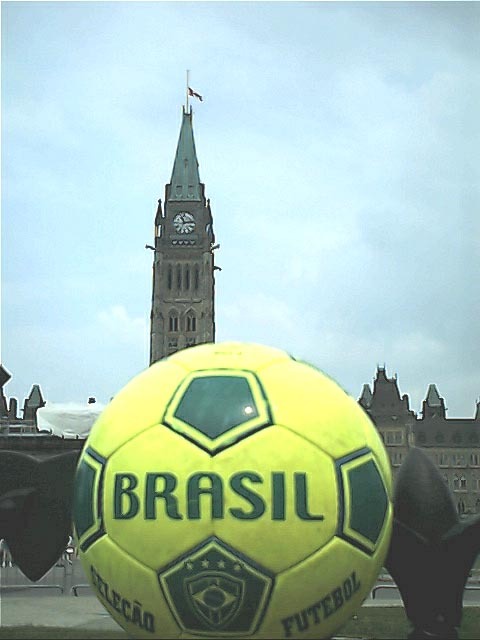 It is the efforts of legendary team that lead to such victory, including the three R's: Ronaldo, Ronaldhino, and Revaldo.